There’s been a lot of press about the use of plastic straws in bars. Perhaps you went to your favourite bar to have your regular Brockmans and tonic only to discover it no longer came with a straw, or the straw was made of metal, paper, or of…pasta! Whilst we were in the US, we decided to stop by some of our favourite bars to get the bar staff’s views on the way forward for the bar industry. In the bars we’ve been visiting, whether they be high end, speakeasies or anything in between, they are not just getting rid of plastic; they’re finding their own (sometimes unique) ways to replace them. 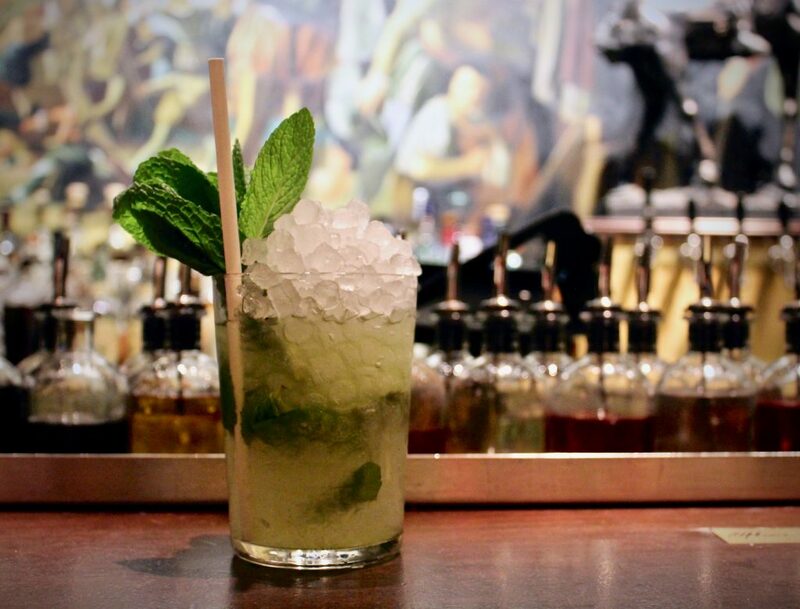 Although some may want to see all straws eliminated completely, straws play a large role in bar culture. Customers love to drink with them, certain cocktails seem to require them, and many bar owners implore that their bartenders taste each cocktail before serving. 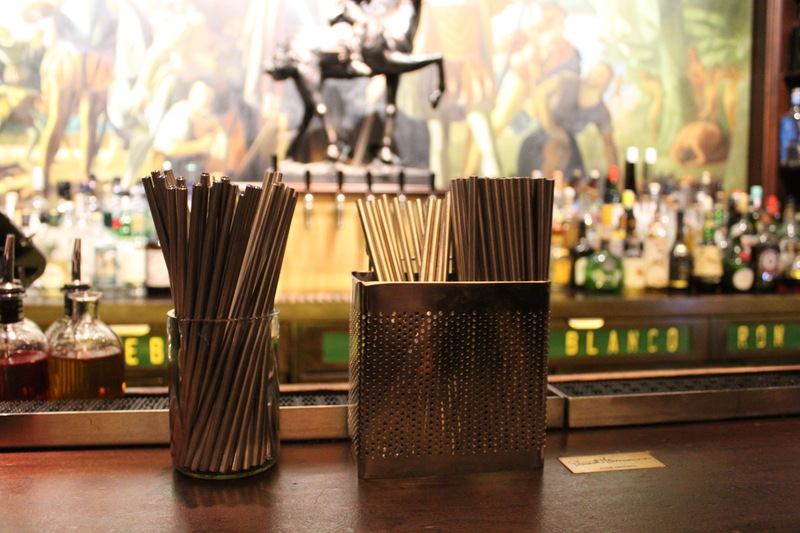 What prompted bartender Melissa Markert at Dead Rabbit, the well-known Irish pub and cocktail bar in lower Manhattan, to minimise plastic straw usage was how tired she was of seeing the number of straws that ended up in the rubbish bin each night. At Blacktail at Pier A in Manhattan, all drinks served on crushed ice come with a paper straw. Now the official overseer of the sustainability program at both bars, she has instituted a strict policy: paper straws by request only, and in drinks served on crushed ice. For the bartenders to taste their drinks before serving, they must use metal straws that then get washed. At Blacktail and Dead Rabbit, bartenders use metal straws exclusively for tasting each cocktail before it is served. 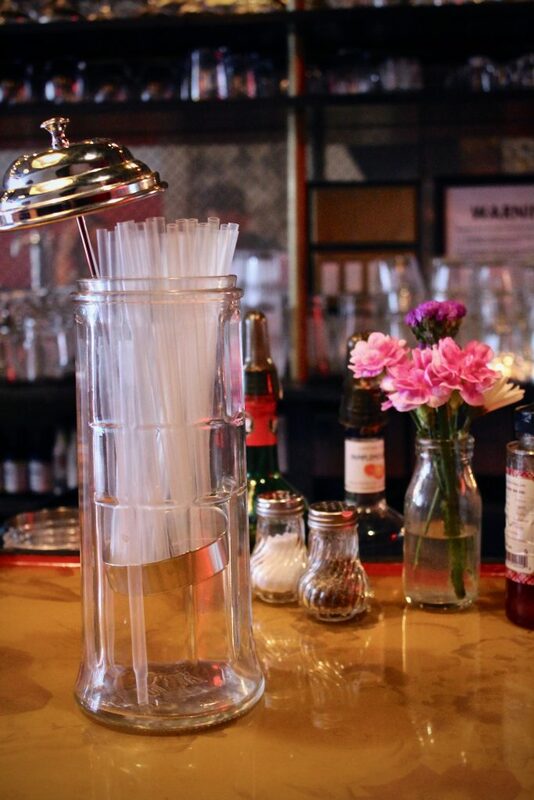 Amongst the other bars that have embraced metal straws as their alternative to plastic is Friends and Lovers, a high-volume bar and venue in Crown Heights, Brooklyn. Programming Director Dash Speaks opted for metal only when he found that customers didn’t enjoy their paper straws turning soggy. 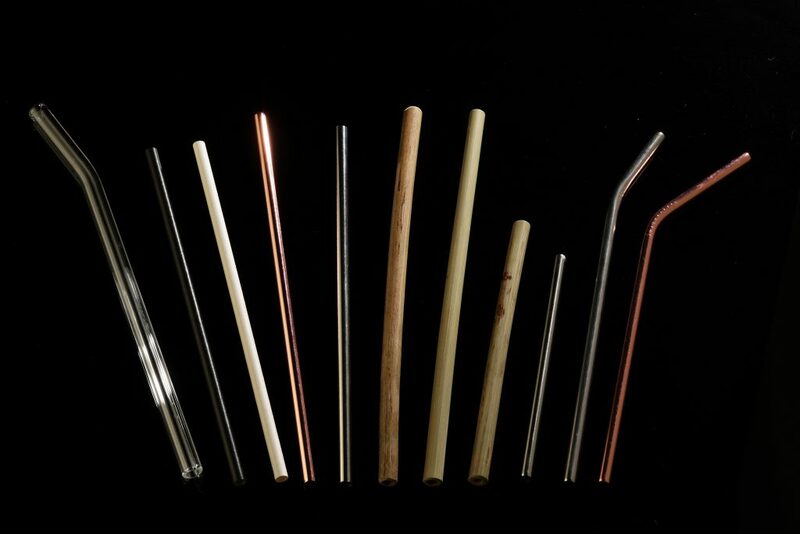 But the downside to metal straws, as Melissa at Blacktail explained, is that people like to steal them. As both Blacktail and Dead Rabbit attract large crowds, it is hard to ensure they get their straws back. Dash’s solution at Friends and Lovers? 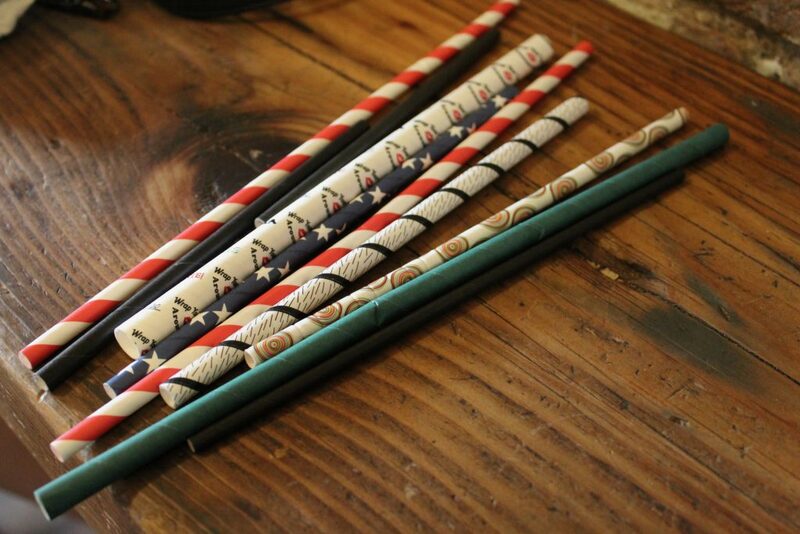 Aardvark paper straws are made of thick paper sourced from sustainable forests, and don’t get soggy as quickly as other paper straws. Still, many bars are choosing paper over metal. One of the companies that has been supplying a majority of New York’s bars with its colourful paper straws can’t keep up with demand. This has been in large part due to Brooke Toscano, head bartender at Pouring Ribbons in Manhattan. Brooke secured a deal to provide a year-long discount for straws to any one of her Angel’s Envy accounts that wishes to switch to paper. Friends and Lovers, Dead Rabbit, Blacktail, and Pouring Ribbons all employ a “straws by request only” policy. Melissa, of Blacktail and Dead Rabbit, believes that most of the time, people will use a straw simply because it’s there, and will not notice if it’s not. Not everyone is a fan of this “by request” policy, however. Allison Kave, owner of Butter and Scotch in Crown Heights, feels just as passionately about her bar’s environmental impact. But she believes the effort should not be at the expense of proper hospitality. 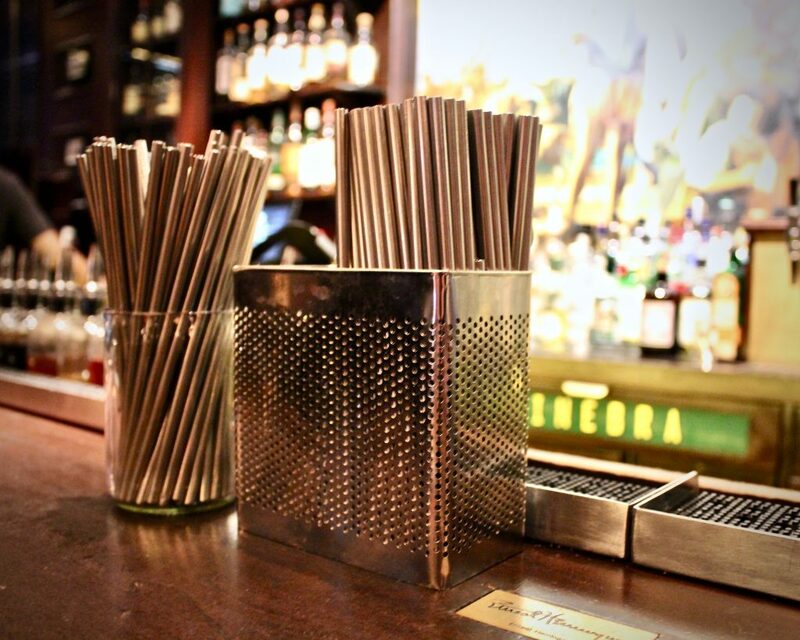 At Butter and Scotch, bartenders use compostable straws in all highball drinks, no questions asked. “As the owner of a bar, it’s my job to create a context in which customers don’t even have to worry about how they consume their beverage. You’re putting people in this position where they have to ask for something, and make this moral decision every time they have a drink. Why don’t we just pay a few pennies extra and stock things we won’t feel guilty about serving?” Her solution? Compostable straws. They look exactly like plastic, but they biodegrade. Every highball gets one, no questions asked. Over at Honey’s in Bushwick, Brooklyn, the bartenders are aware that choice of glassware can affect whether or not a customer needs a straw. 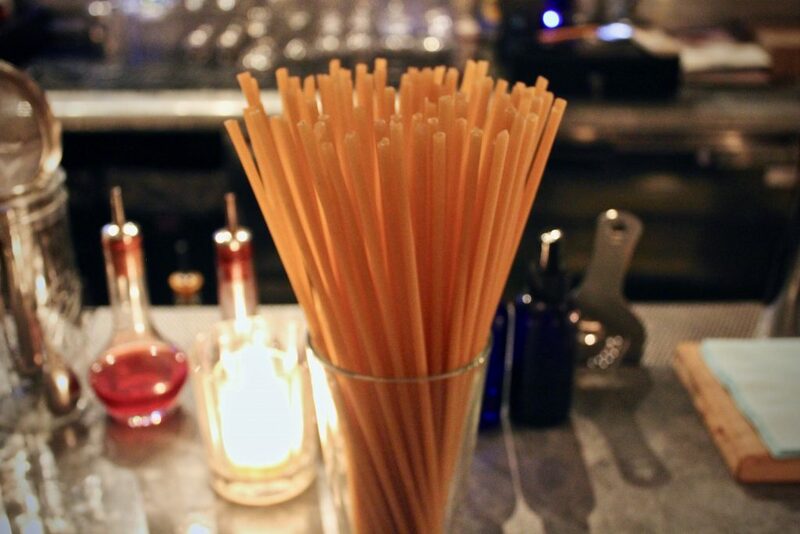 At Honey’s in Bushwick, Brooklyn, the one highball on their cocktail menu gets a bucatini straw. “It’s definitely caused us to examine what kind of cocktails we put out,” says bartender Torrey Bell-Edwards. On their current menu, they only have one highball. Their plastic straw alternative? Bucatini (yes, the pasta). It’s affordable, compostable, lasts longer than a paper straw, and makes people laugh. Knowing how popular straws are, we were particularly curious about how their customers are taking all this change. Most of Melissa Markert’s customers are completely fine with it, and happy to be spending their money at an establishment with an environmental mission. At Honey’s, Torrey told us that most people get excited when they figure out what their straw is made of, especially if they guess correctly. Brooke Toscano could not agree more. At Pouring Ribbons, she regularly creates cocktails that use “trash.” When remains such as citrus peels and pineapple skins would normally be tossed, she repurposes or reuses them for garnishes, syrups, and cordials. Could this be the next big thing?